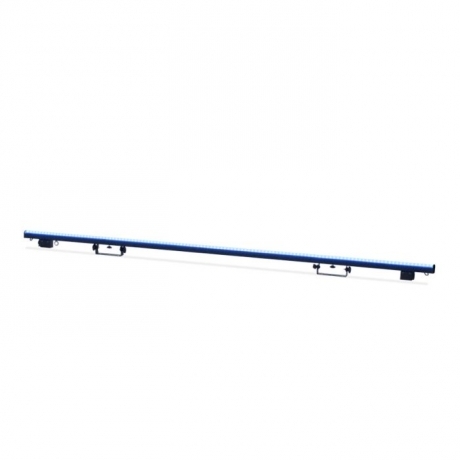 The PIXEL BAR 120IP is an outdoor IP65 rated LED pixel bar featuring (120) tri-color RGB SMD LEDs with a 16mm pixel pitch, a 120 beam angle, a refresh rate of 44,000Hz for flicker free operation for broadcast TV and FILM applications, and measures 2 meter (6.6 feet) in length. Each pixel bar is housed in a lightweight IP65 rated aluminum housing featuring magnetic end caps which allow seamless end-to-end pixel spacing, an integrated adjustable mounting bracket, a safety cable loop, and includes square and rounded frosted lens attachments. 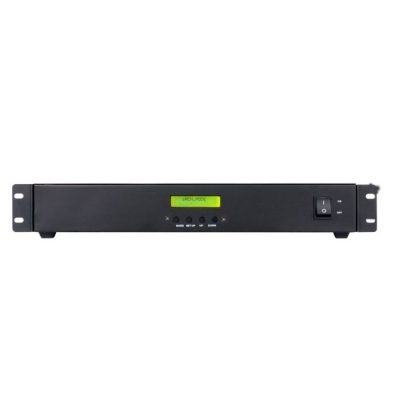 Easy and versatile control options are handled by the Pixel Driver 4000 (sold separately - View Accessories) which provides simple on-board manual dimming and strobe control, and full pixel mapping control of 4,080 max pixels via Kling-Net and 680 max pixels via Art-Net and sACN (streaming ACN) protocols.